Have you ever driven through a neighborhood and stumbled upon what you think might be your dream house! But is it in your price range and does it really have the features you want? Wouldn't it be great if there was a way to get instant access to pricing, photos and detailed property information without having to track down the listing agent? Download the app to iTunes from your computer, iPad or iPhone and enter the code 3396 to activate, and you'll have instant access to listing information at your fingertips. 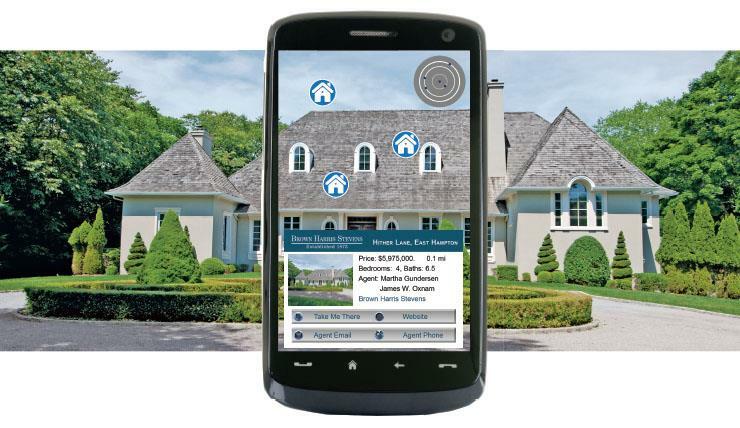 Our mobile platform works off GPS so simply refresh your location (using the lower left icon shown on the phone at left) and like magic the map will zoom to your current location and display homes for sale in the immediate neighborhood. Or just scroll to any neighborhood in St. Louis, click on refresh map (in the upper right) and it will display the current homes for sale. Welcome: Welcome to WebsterKirkwood.com. The most comprehensive site for buying and selling a home in Webster Groves or Kirkwood, Missouri. Open House Notification: Want to know homes and properties will be OPEN this weekend? Sign up for our Open House reminder service. Financing Your Home: Get pre-qualified, find out how much you can afford, locate the best St Louis mortgage lender, learn about special financing. Our Webster Groves and Kirkwood Newsletter: Subscribe to our quarterly newsletter dedicated to the Webster Groves and Kirkwood school areas. Home of the Week: Featured Webster Groves and Kirkwood homes for sale. View photos, virtual tours and more. Virtual Community Tours : View virtual tours of Webster, Kirkwood, Rock Hill, Des Peres, Warson Woods, Oakland, Shrewsbury and Glendale, MO! Search Kirkwood Listings: Search homes for sale in Kirkwood, MO by price or map location. Search Webster Groves Listings: Search homes for sale in Webster Groves, MO by price or map location. Search St. Louis MLS Listings: Find St. Louis, Missouri homes for sale and search the St. Louis MLS. Search Live Local Real Estate Groups Featured Listings: View featured office listings for Live Local Realty. Search Kirkwood Condo Communities: View details for our Featured Kirkwood Condo Communities - photos, floor plans, current listings, pricing. Search Historic Homes : Selling or buying an historic home? This is the place for details on this unique specialty market. Search Area Fixer Uppers and Best Buys: Locate fixer-upper properties and recommended "best buys" based on price comparisons. Search By Municipality : View listings for Glendale, Rock Hill, Warson Woods, Oakland, Shrewsbury and Des Peres. Private and Parochial Schools St. Louis is home to some of the finest private and parochial schools in the country. Home Repair Service - Most of the suppliers on this list have requested a link on our web site. Their inclusion does not necessarily mean we have experience with their services. Real Estate News - Our favorite real estate news resource...Inman News. Kirkwood Area Businesses - Favorite places to eat, play and visit in Kirkwood. St. Louis Sports - St. Louis is a great place to live if you’re a sports fan. Other Cool Web Sites - These are just fun web sites that we have saved and thought we would share. Some are very very unique and interesting. Contact Us: Contact Ginger Fawcett of LIVE Local Realty by phone, email or fax when buying or selling in Webster Groves or Kirkwood.